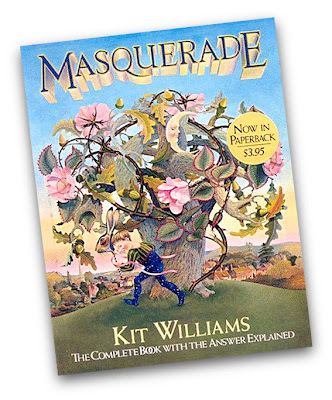 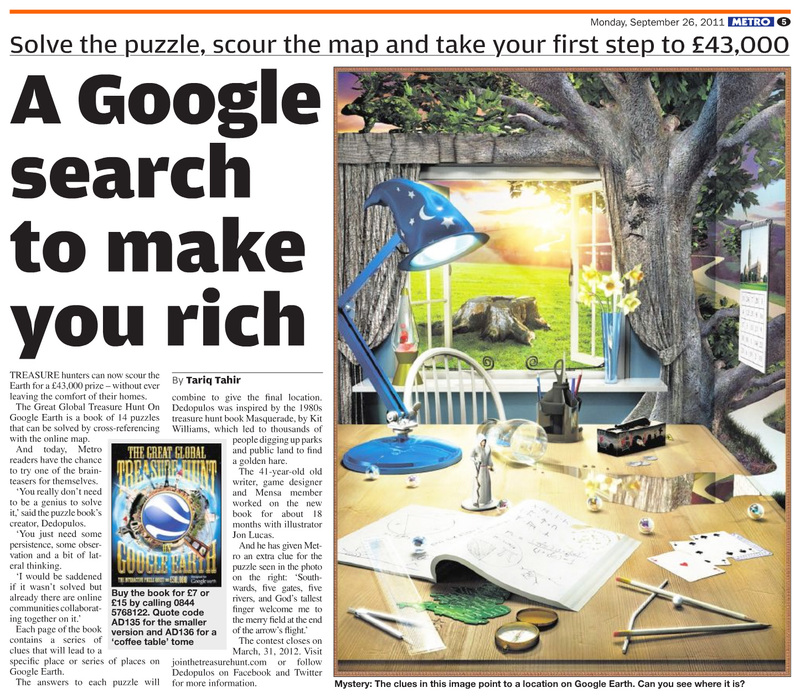 There's what sounds like a great new treasure hunt book out this month, reminiscent of 1979's Masquerade which kick-started the whole 'armchair treasure hunt' fad (see also this Daily Mail article). Oddly, I never really got into this one, but I do remember the family being driven absolutely bonkers for a year by 1983's Conundrum – The Cadbury Creme Egg Mystery. 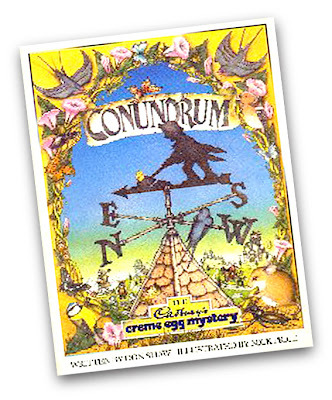 We had to eat heaps of the sickly sweets and send off the wrappers in order to receive a book which contained a dozen word and illustration puzzles – each one leading to its own £10,000 golden egg buried somewhere in the UK. 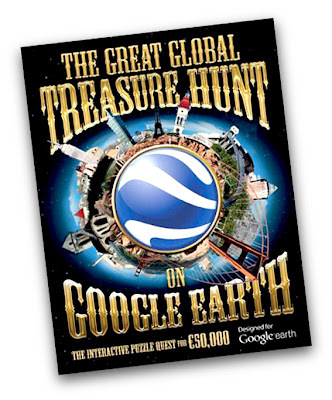 The latest addition to the genre, The Great Global Treasure Hunt on Google Earth, is available as two print editions or an iPad ebook – although the latter is absolutely awful and I advise you not to go near it. 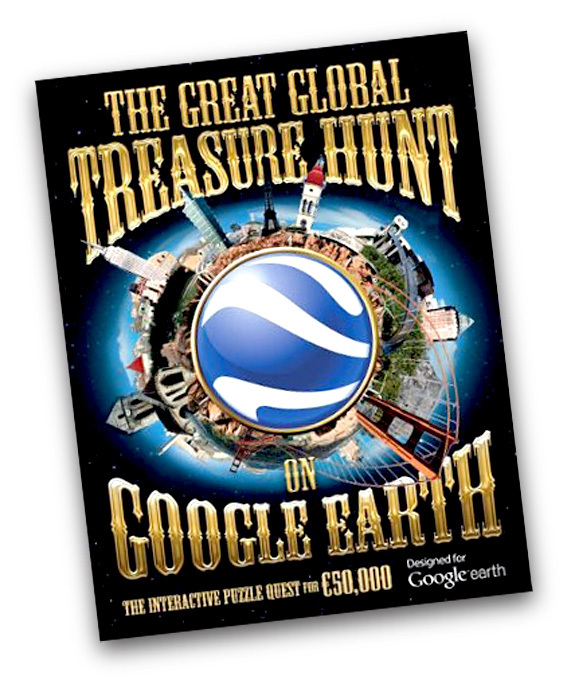 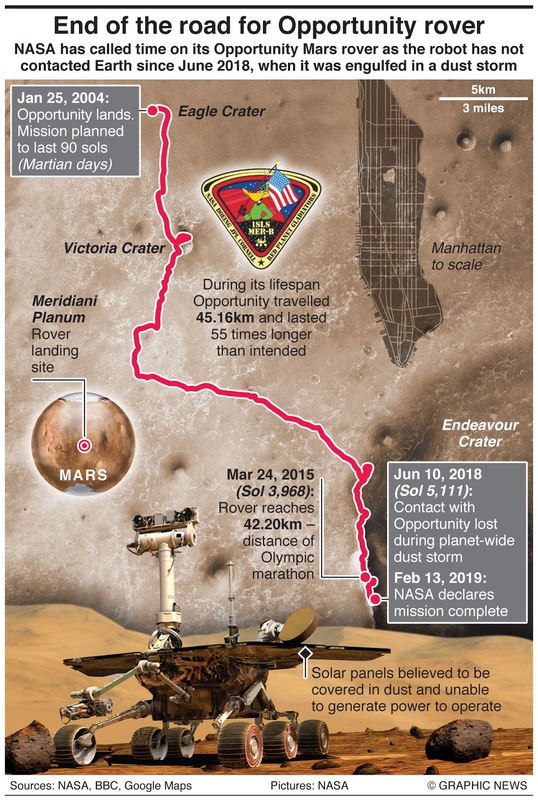 As the title suggests you look at cryptic illustrations and text riddles to solve puzzles that point to Google Earth locations and ultimately an overall solution and a prize of €50,000 (£43,000; US$67,000). 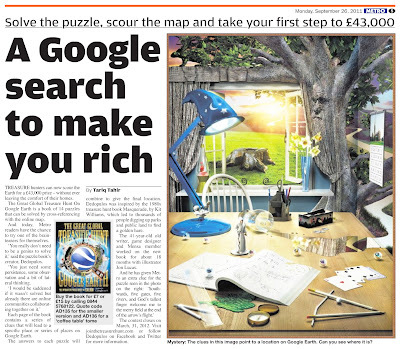 Today, Britain's free Metro commuter newspaper ran a half-page feature on the new book and published the first puzzle from the book's collection of 14 brain teasers. 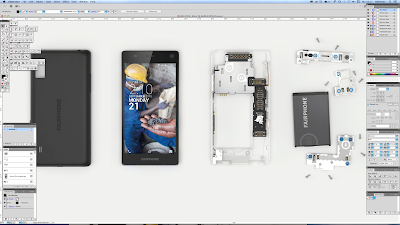 Mine is in the mail.